Daily- Make sure you’re using the oil on the ends of your extensions daily. This will help the prevention of dreads. It will be easier on your extensions if you brush through the top with a brush and use your fingers to brush through the hair extensions. If you pull too hard, just like with your natural hair, it will come out. Nightly- This is a crucial part in the care of your extensions, night time. We suggest you either braid it in a loose braid to sleep or have it up in some way. You should be using a satin/silk pillow case so you don’t rough up the cuticles in your hair at night due to the fact that this will be one of the reasons your extensions dread. Styling- Avoid using hot tools where your extensions are fused into your hair. If you run over the fusion tips with a hot tool it will remelt the tips and then when they cool back down you most likely will have fused new hair with the extensions. Also, the more the tips are heated the harder they are to get out when they need to be replaced and the more noticeable they become in the hair. 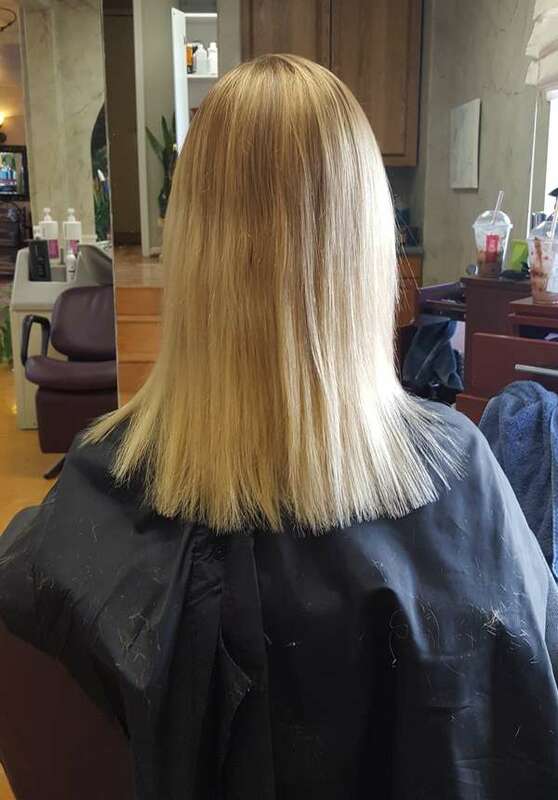 Hair Cuts- You should be treating your extensions just like your regular hair when it comes to getting them cut. You should come in every 4-6 weeks to get them trimmed. This is also a good time for us to look at the extensions to see if any of them need to be replaced or if a dread is starting so we can prevent it from fully forming. How much does it cost to get hair extensions? – The price will vary for each person. It is 100.00 an hour to get the extensions, price of hair varies on type of hair and extension length. 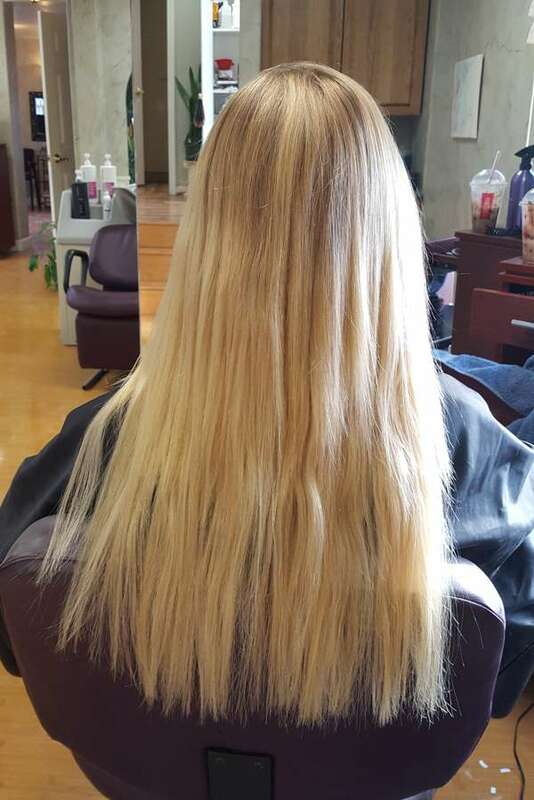 Why can’t I get extensions without a consultation? And what happens at a consultation? – The point of a consultation is to help the client. 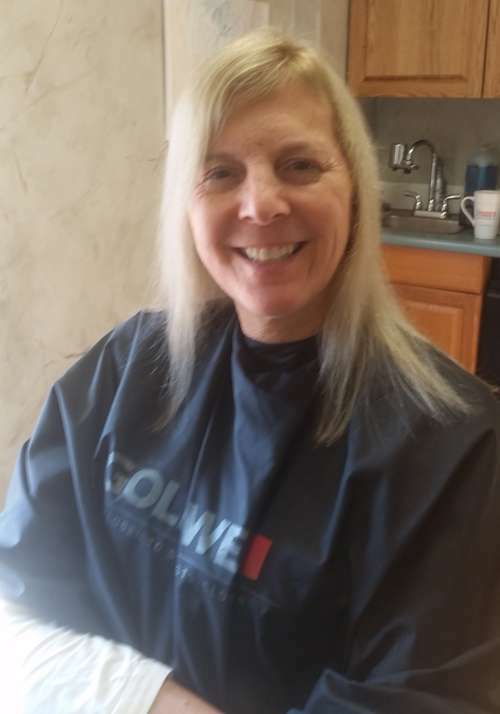 At the consultation we are going to discuss with you the colors you are looking to get in your hair and why you are looking to get the extensions. 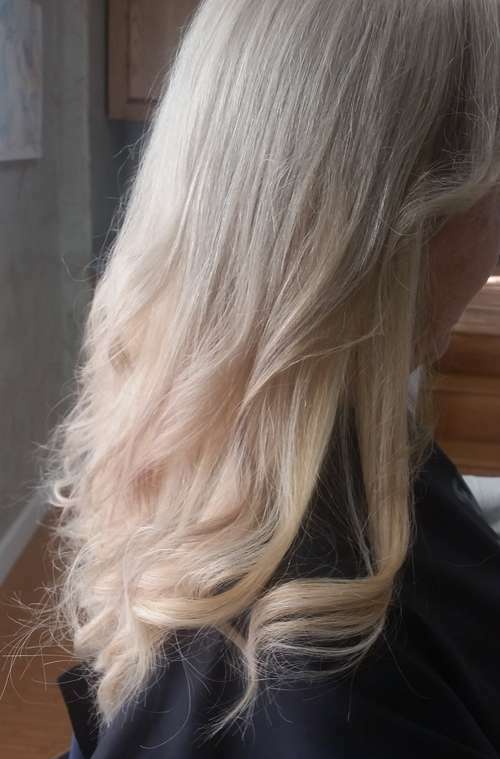 We do not have all the colors in stock and since we want to make sure we match your hair color the best we can we want to see your hair to conclude if we have to order extensions. This will also be where we can give you the most accurate price quote because we are able to see the length and thickness of your hair. We will also be able to learn why you want the extensions, getting extensions for length vs. thickness could be a difference in price. The best part is the consultation is free and only takes about 20 minutes. What causes dreads to happen with hair extensions? – There are a lot of causes to extensions dreading. One the main reasons is not maintaining proper care of your extensions. For example, not putting them up at night or not using the oil. Also, if you use a hot tool a lot and you keep running over the fusion tips when it remelts them the tips and they cool down again you will be gluing other little pieces of hair in with. However, you can take 100% proper care of your extensions and you should still watch for the dreading because you loose so many pieces of hair a day, when you have the extensions in some of the pieces of hair that were going to fall out are unable to because they are some of the pieces we used to fuse the extensions in so you have loose pieces of hair that may catch on other hairs and create a dread. This is why the upkeep on them is so important. We do have people who have never had a single dread and keep extensions in year round.